If you are looking to treat yourself to a luxury vehicle, it’s time to come into Land Rover Colorado Springs! 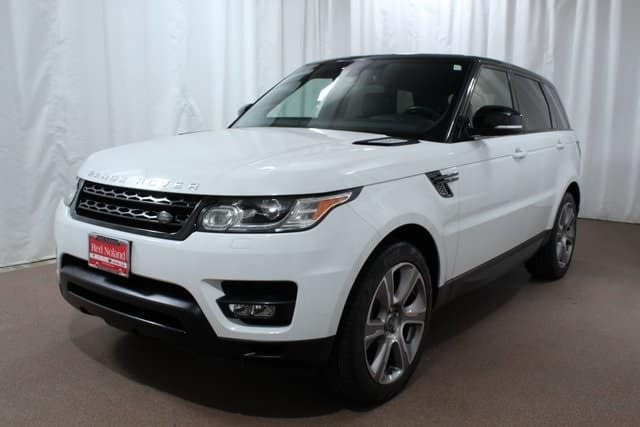 We currently have this gently pre-owned 2015 Range Rover Sport SUV ready for you to drive home today. This model is the HSE Limited Edition that had only 700 made! This is a great buy for anyone looking to invest in a luxury SUV that has low mileage and an impressive variety of outstanding comfort features. Treat yourself this holiday season with this Sport, equipped with 3.0L V6 supercharged engine which gets you an estimated 17 MPG city/22 MPG highway fuel economy. Plus, Land Rover is known for its luxury features so you know this SUV will be well-equipped. Enjoy premium leather heated and cooled front seats and heated rear seats, blind spot monitor w/ closing vehicle sensing, heated front windshield, Meridian Premium Surround Sound System, navigation system, front cooler box, and heated steering wheel. To make the deal even better, this Sport is still under the manufacturer’s warranty. So why not check out this amazing vehicle today? Stop into Land Rover Colorado Springs today to check out this beautiful 2015 Land Rover Range Rover Sport and see why it is the right SUV for you!